Are you tired of being a princess for Halloween? Not that there’s anything wrong with being a princess (trust me, I’ve been dressing up as a princess since I was born), but sometimes you just want to dress up as a damsel who’s about to cause some distress rather than be a damsel in distress. If you’re looking for a strong female character to dress up as, you might want to consider being Katniss Everdeen from The Hunger Games like Kristen here. This costume is quick, easy, and most importantly: comfortable! 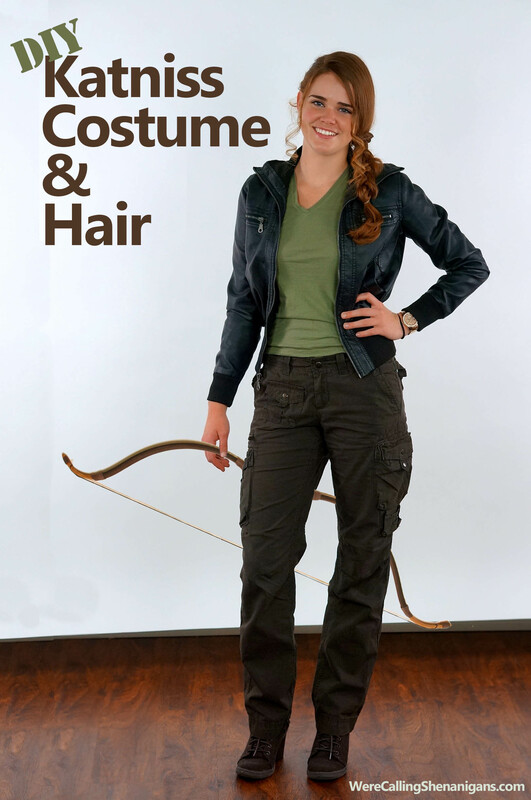 Check out our Katniss Braid tutorial video to see how to achieve this look! GREAT COSTUME! LOOKS SO EASY AND FUN!!! I’ve loved the hunger games and Katniss is my role model. It would be amazing to dress up as her!